It could only be a good thing when both of your coordinators are hired for head coaching gigs, right? 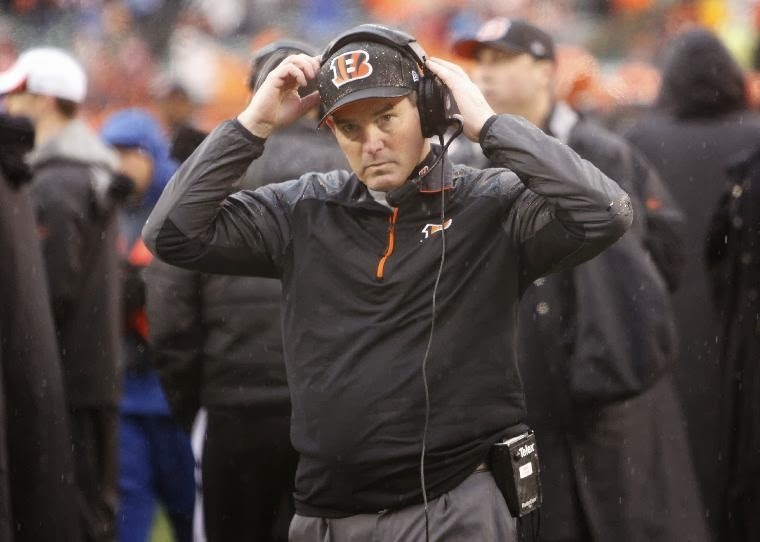 Well the Cincinnati Bengals are in that unique situation as after offensive coordinator Jay Gruden was hired in Washington, now defensive coordinator Mike Zimmer has gotten the head job in Minnesota. The Vikings have only made the playoffs three times in the last decade, can the veteran defensive coach Zimmer be the guy to make the club a consistent contender in the NFC North? Here's my take on this hire, the fifth of the offseason. I think my first reaction to this hire is similar to that of many other observers in the NFL, how the hell did it take Zimmer so long to get a head coaching job? Zimmer has had the reputation of one of the finest defensive coordinators in the league for several years now for the stellar jobs he did in Dallas and more recently in Cincinnati, who have developed into an outstanding defensive club. Actually, I can answer why he has been passed over so many times before. So many times, front offices and ownership like to hire so-called "yes men" and don't like it when coaches tell them things they did not want to hear. Zimmer is the farthest thing from a yes man and his blunt, gruff personality led to thoughts that he was not a great interview. Plus, some thought his portrayal in last year's edition of Hard Knocks in which he allowed profanity to flow freely may have been an hindrance as well. But who cares about that stuff? Zimmer is a damn good coach and is well-deserving of this job. And he is a good fit in Minneapolis, a team that was disastrous defensively in 2013 (among other problems with the club). Zimmer should immediately help upgrade the defense, and bring an aggressive scheme to a club that has grown accustomed to being conservative on that side of the ball, and he may have the opportunity to draft a franchise quarterback early in the 2014 draft. Even more so, he is a strong fit personality-wise as he is a stark difference from the prior coaches in Minnesota, especially his predessor Leslie Frazier, who was cut out of the Tony Dungy cloth. That didn't work, and thus bringing in what is just about the total opposite makes a lot of sense, especially when you're bringing in a coach the caliber of Zimmer. As you might tell, I love this hire. Do I know for certain that Zimmer will be a successful head coach? I don't, but this is still an outstanding move.